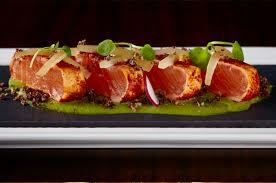 The best Edinburgh pre-theatre menu offers the chance to treat yourself before the main event. We love the Edinburgh theatre scene, but no night at the theatre would be complete without a delicious pre-theatre supper. The ideal pre-theatre menu should be short, sweet, and stress free, leaving the performance for the stage. It’s also a good opportunity to treat yourself to a luxury meal for less, as restaurants compete to put bottoms on seats at this early stage of the evening. Here are some of our favourite Edinburgh pre-theatre supper experiences. Tucked into a small corner of a cobbled lane just off George Street is this gem of a restaurant, overseen by award winning Scottish chef Neil Forbes. 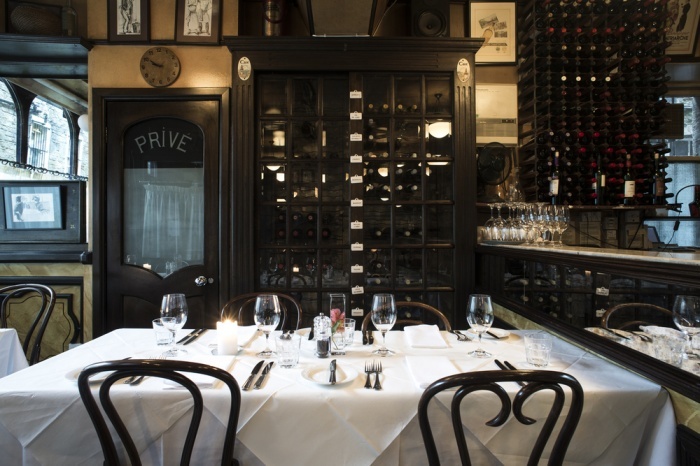 As the name suggests, the atmosphere is that of a Paris café, and the food more than lives up to the Gallic surroundings, as you can read in our full review. Theatre goers will love the ‘Café Classics’ as a pre-theatre option at a very reasonable £18 for two courses or £23.50 for three courses. 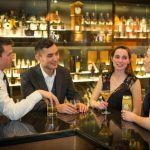 Harvey Nichols have partnered with The Edinburgh Playhouse to offer two courses from a set menu, together with a glass of Prosecco for just £20 per person. To avail of the offer quote ‘Harvey Nichols Playhouse’ when making your booking. To read our full review at Forth Floor review. Offer available for the Edinburgh Playhouse only. Established in 2013, Field is still somewhat of a new kid on the block on the Edinburgh restaurant scene, but being recommended in the Michelin guide three years running doesn’t happen by chance. 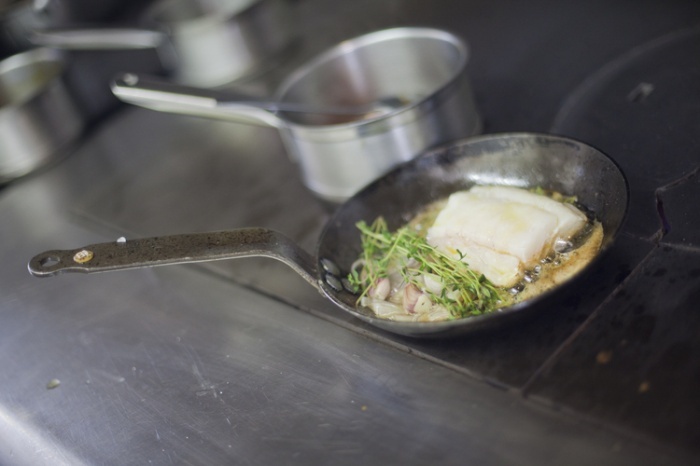 Field’s pre-theatre menu is simple but full of finesse, with focus on Scottish ingredients like mackerel fillet, and is an utter steal at two courses for £13.95 or three Courses for £16.95. For a touch of whisky-infused elegance, you can’t beat The Dining Room at 28 Queen Street – the New Town HQ of the Scotch Malt Whisky Society. 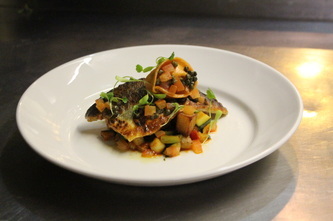 The Menu Du Jour makes an ideal pre-theatre supper option, with three courses at £21.95. 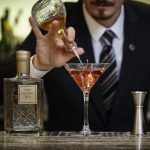 Naturally the cask-strength whisky for which the Society is famed is very much on the agenda, but with other drinks on offer, including an extensive wine list, you’ll love this place even if Scotland’s national drink isn’t for you. As you’ll see from our full review, we were bowled over by One Square. Because it’s placed part way up the Lothian Road this restaurant couldn’t be more perfectly situated for a pre-theatre supper – it overlooks the Usher Hall and is a stone’s throw from the Lyceum and Traverse theatres. 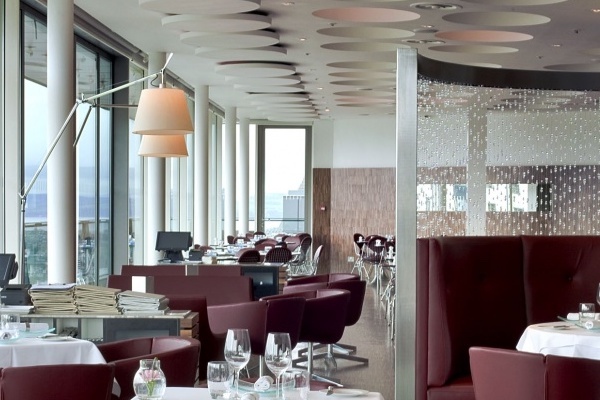 The atmosphere is one of modern luxury, offering diners two courses at £15.50 and three courses at £19.95. 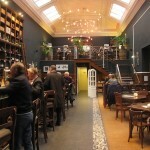 Set in a converted warehouse on Thistle Street, Fisher’s in the City has long been a firm favourite of ours. 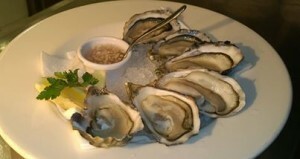 Although fish and shellfish obviously take centre stage, there are plenty of other choices. The set pre-theatre menu features home-cured chargrilled salmon gravadlax and Scottish crab, chilli & garlic linguine, and is a snip at just £18 for three courses. 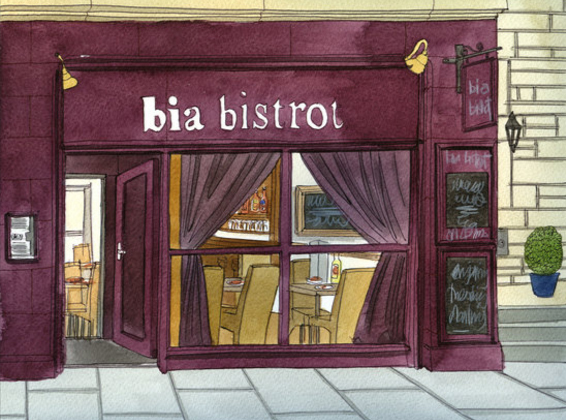 We would say that Bia Bistrot, run by husband and wife team Roisin & Matthias Llorente, is a hidden gem, but because of critical and public acclaim their fame has spread far beyond the restaurant’s Morningside location. A comfortable but simple atmosphere lets the outstanding food do the talking with the only mystery to us being how (and why?) 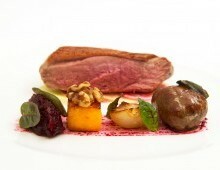 the delicious locally sourced daily set menu is still priced at a bonkers £11 for three courses. It may be a little out of town, it’s a very simple route to the King’s theatre or Cameo cinema if you don’t mind a walk and just a stone’s throw from the Churchill Theatre. 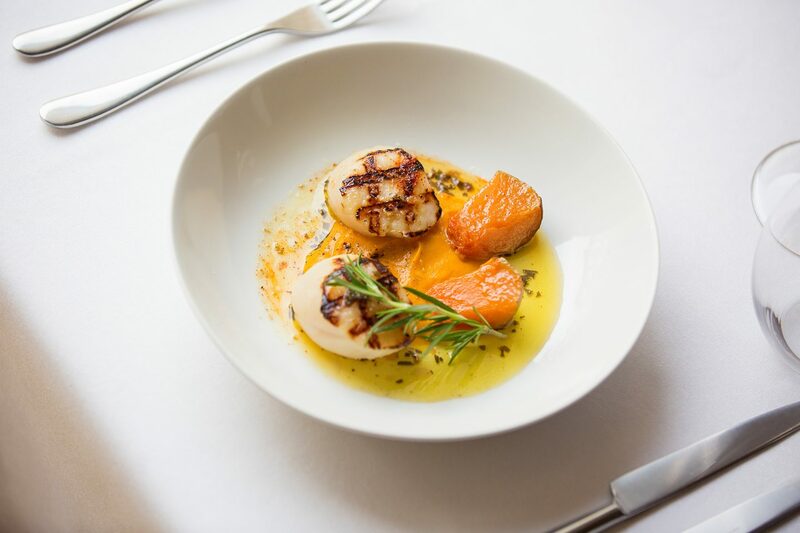 Award winning Le Roi Fou serves beautifully presented dishes using seasonal Scottish produce cooked in a modern French style. The dining room is small with a warm friendly ambiance with a pre-theatre menu for just 2 courses £19.50 or 3 courses for £24.50 served until 18:30 Tuesday to Thursday 18:00 Friday to Saturday.